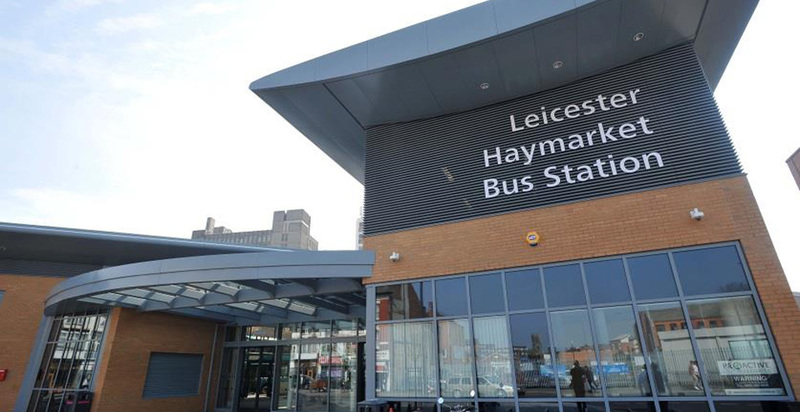 The construction of a new state-of-the-art bus station in the city centre of Leicester, as part of the Local Authorities modernisation of its public transport hub. Public realm improvements included the widening of footpaths, the installation of new street furniture, planters and decorative glass screens to protect the public from road traffic whilst making the scheme more attractive. 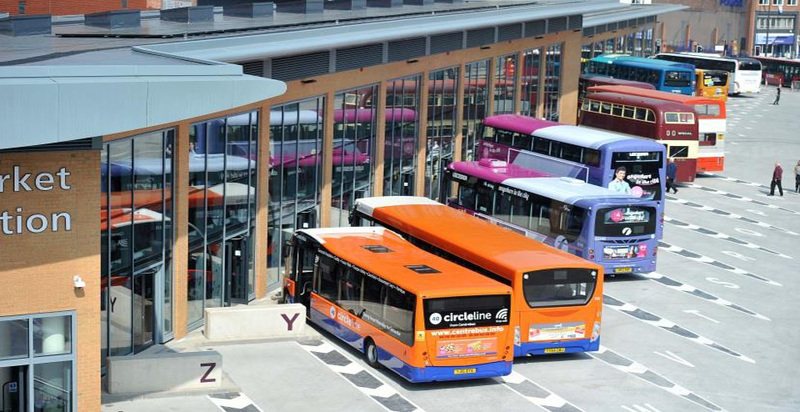 The 18 month project was phased to minimise disruption to shoppers and businesses in the busy city centre. Regular liaison with these stakeholders, together with an effective traffic management plan was key to the success of this scheme which was officially opened in May 2016. 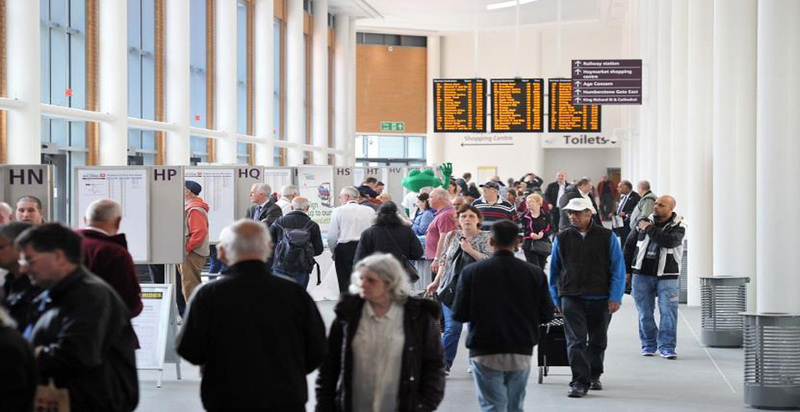 A main feature of the scheme is the attractive new concourse building running down the length of the site, which provides modern and comfortable facilities, and the latest information systems for passengers. 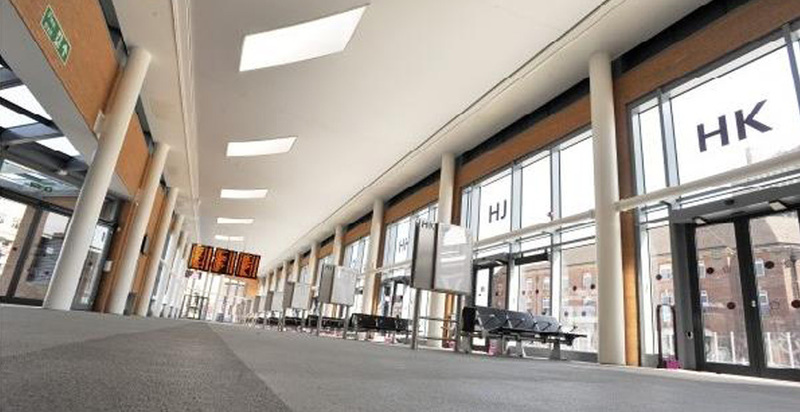 Roof-mounted PV Panels help to provide power to the building, as well as charging up mobility scooters at the Shopmobility Centre, which is located in the new building.